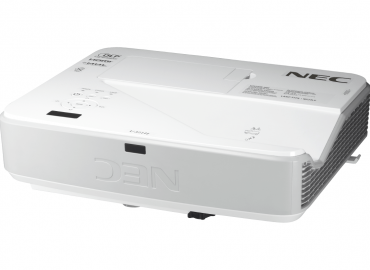 NEC’s Ultra-Short-Throw projectors pack multitudes of features while delivering extremely short throw distances for education and corporate applications. 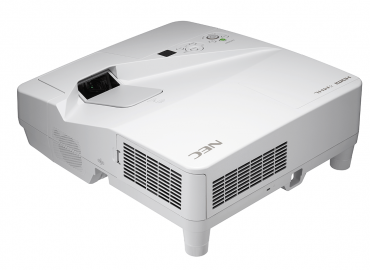 With the ability to be mounted to the wall directly above the screen/surface on which they project, these models help eliminate the shadows and glare typically found with standard projection systems. 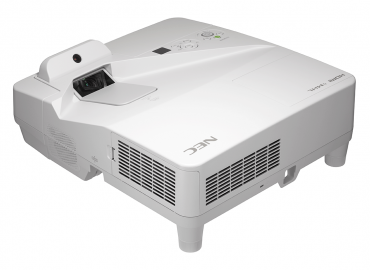 These projectors include powerful speakers, closed captioning and RJ-45 for remote management over networks, and their input panels include dual HDMI, VGA and microphone inputs to amplify the presenter’s voice.